How to recover contacts that deleted by iPhone? How to recover contacts that deleted by iPhone? How to retrieve contacts that deleted by iPhone? How to restore contacts that deleted by iPhone? I think my iPhone deleted all my contacts and I have no idea why this happens. Has anyone got into the same problem with their iPhone? Any suggestions that I can get them back even if I didn’t backed them up before? Thanks!!! Have you ever been in a situation that your vital personal data on iPhone is gone for unknown reason, it would have been very frustrating. Actually, many of iPhone users have lost their contacts and upset about if there’s a possibility to get them back. Obviously, contacts are precious to everyone as they are the key to contact our friends, family or colleagues. Do not be too alarmed, iFonebox can help you to recover contacts that deleted by iPhone. 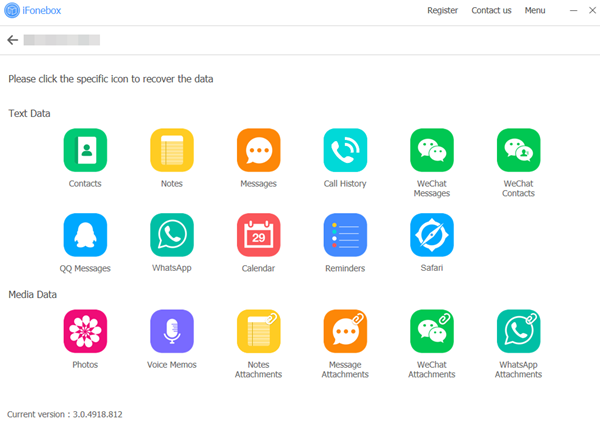 Actually, iFonebox is far more than a recovery tool that can help you restore contacts that deleted by iPhone, it can also assist in transferring data on iPhone to computer for save or editing purpose. With iFonebox, you’re allowed to back up iPhone data selectively without having to migrate the whole files on device. Sounds amazing, isn’t it? iFonebox is fully compatible with Win and Mac, iTunes and iOS 6 or higher system, including the latest iOS 11. 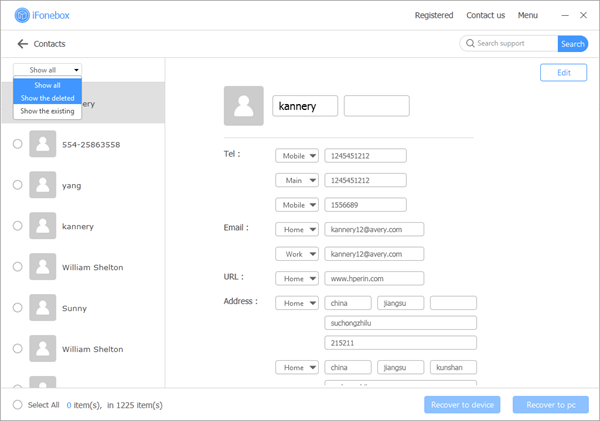 The interface of iFonebox is visualized, vivid and legible for users to understand and implement, which certainly satisfy all kinds of requirements. Now, let’s get started to restore contacts that deleted by iPhone. Connect your iPhone with the computer via included USB cable, launch iFonebox, you’ll be asked to Trust your computer if this is your first time to use this program. Then you’ll see a bold Next, click it and move to the second stage. You need to click Contacts icon to start scanning, and it will show you a rotating circle, please wait in this step. After the scan completes, you’ll find your disappeared contacts, you can also choose recover them to your iPhone directly.